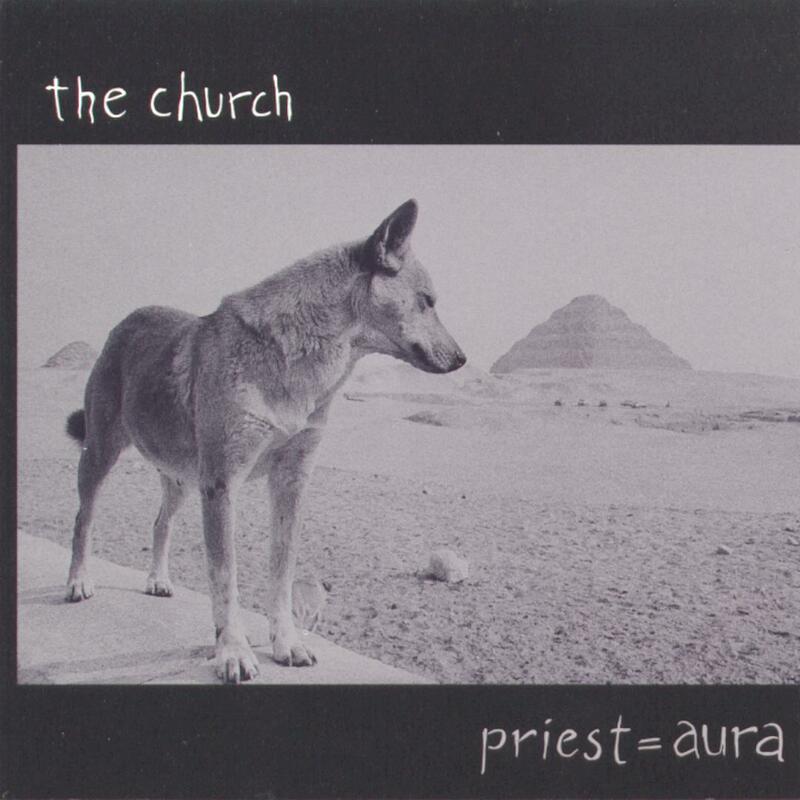 Hypnotic, surreal, moody, self reflective, intense, psychedelic, a sound track of sorts, way too long, excessive filler … all these statements could easily describe the release of Priest = Aura by The Church, and in the end, no matter what one can say for or against this album, there are enough strong songs to make it a fine outing. One of the biggest issues is that for the first time the group began thinking in terms of compact disc musical length, instead of vinyl album length. Without having to concern themselves with two sides at twenty minutes each, they could now direct their efforts toward more lofty lengthy displays of roaming material; though I’ll freely admit that all of this material was not structurally sound and often roamed for too long. Nevertheless the stage was set, and with the release of Somewhere, Anywhere to follow, you’re able to see how the band was gathering the finer nuances of this recording, along with that of Starfish, and stepped forward as the undisputed rulers of Album = Trip. You won’t find the hit single on this release, as none was designed and they made a concerted effort to promote this album as a conceptual release. For longtime fans like myself this construct was more then welcomed, though for fans who were hearing the music of The Church for the first time, or based solely on the release of Starfish,[i] an album filled with singles, I’m more than sure that people were scratching their heads, wondering what this band was all about, and how this rather sketchy release could have followed [i]Starfish. Again, all of this was just fine for me, after all, I know that I’m a musical snob about some things, and The Church were very high on my list. The album floated in much darker waters (as if that were possible), the guitars and lyrics seriously curved my thinking with atmospheric gatherings that hugged the floor, swirling at my feet rising like an evening mist, while hanging in the air like low sonic clouds just above my head, leaving me only the most narrow perspective of my own reality from which to assure myself that I was still physically rooted in this planet, where without that window I’m sure I would be lost forever in a type of continuous tape loop. Regardless, The Church found themselves in the middle of an untraditional step forward, one that embraced the psychedelics they had been consuming, and when they came out the other side with the stunning Somewhere Anywhere, they didn’t hesitate stumble or faulted, where they managed to touch the sky, turn water into wine, and bless the world with one of the most integral hypnotic lysergic vision ever put to vinyl. All of that being said, I’d be remiss if I in any way suggested that Priest = Aura was merely a stepping stone, because some fine material dose tumble out, meaning that there’s no way I’d ever miss the chance of having this music in my collection, or roaming eternally through my head.